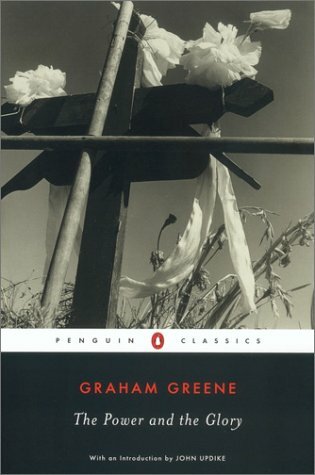 Graham Greene’s The Power and the Glory (1940), the story of a fugitive “whisky priest” in 1930s Mexico, is a short, pathos-laden novel about religious persecution after the Mexican Revolution. The Catholic Church at that time was under attack for its considerable wealth and social control. The unnamed priest at the center of the novel is a complicated man, by no means a conventional hero, but his refusal to abandon the priesthood eventually endows him with a magnetic aura of spirituality, despite his many vices. Not all professional historians admire the novel, however. Some find it overly polemical, others even anachronistic, given that the story of a persecuted priest, written after Greene’s visit in March-April 1938, coincided with President Cárdenas’s decision to end the long revolutionary campaign against the Church. It is also rather curious that the most celebrated novel about Mexican Catholicism during the Revolution was written by an English neophyte who was new to Mexico. Greene’s English prejudices give rise to the novel’s flaws. Greene’s mestizo “Judas,” the man who betrays the priest while the Indian faithful shelter him––reprises a colonial view of racial miscegenation as constitutionally debilitating. The frequent interventions of British and German characters, as out of place in their plantation houses and dilapidated dental surgeries as Greene must have felt in tropical Tabasco, are also irritating, if not occidentalizing. For all that, the novel has strong redeeming features and in some respects is insightful and true to life. Greene’s tone of moral uncertainty and self-doubt, for example, muddles profoundly the simplistic dualism of most portraits of Mexico’s religious conflict––supposedly a clash between two triumphalist world views and institutions, those of Church and Revolution. Greene is critical of sheer ideology. He is as dismissive of a mawkish contemporary Catholicism as he is of anticlerical bile: “I don’t believe a word of it … Nobody could be such a fool,” a Mexican boy, reared on endless stories of preternatural piety, yells at his mother after hearing for the umpteenth time stories of impeccable Catholic martyrdom at the hands of revolutionary Neros. At the same time,Greene captures perfectly the introspective origins of so much revolutionary irreligion in the lieutenant who pursues the whisky priest with fanatical zeal. The same ambiguity lurks inside the schismatical, fornicating Padre José, whose hands still trembled with emotion at every consecration. Inside-out religion masquerading as state atheism, a Catholicism as anticlerical as it is pervasive: these are the more human paradoxes that fascinate Greene as he sends the whisky priest scurrying across the countryside and into the towns of prohibitionist Tabasco, there to buy alcohol for his personal and ritual libations from corrupt revolutionary politicos. The Power and the Glory does more than nuance Mexicans’ religious and secular thinking in a political context in which the state was trying to disentangle categories of citizenship and faith. In the end, the whisky priest ends up in the jails of tropical socialist Tomás Garrido Canabal, the revolutionary boss of Mexico’s southeast, first on latrine duty and then, at the book’s close, to face the inevitable firing squad. As such humiliation attests, however, it is the reduction and redemption of man and office rather than the mere mention of worldly vices––the whisky priest’s boozing, for example, that constitute the book’s claim to be radical, for its time, in a religious sense. 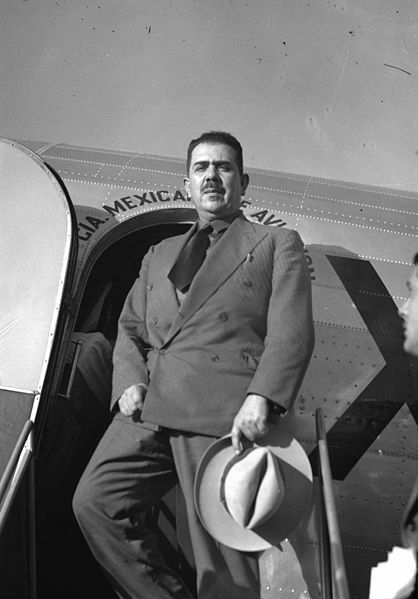 Greene may have imagined that he was writing a universal Christian parable set in Mexico. Yet he also understood (or imagined) how the Mexican Church had resisted revolutionary persecution by itself undergoing something of a revolution in spirit. By clinging to spiritual basics, the whisky priest rediscovers God and is liberated, such that “everything but the simplest outline of the mystery” was stripped away. The Church’s conversion into a more integrated body of faithful is dramatized by the whisky priest’s abandonment of his breviary and altar stone and by his walking barefoot in worn-out shoe uppers to celebrate Mass in a villager’s shack. That it is María, an Indian villager, who gives the whisky priest brandy to consecrate, and that “for a matter of seconds” the priest could sermonize about suffering without hypocrisy, is perhaps Greene’s ultimate point. What makes The Power and the Glory so suggestive for historians is that these fictional experiences are so often borne out in the recorded lives of ordinary people. Rather than just a Mexico-based allegory for a new Church, The Power and the Glory can read for glimpses of the real religious meanings that Mexican people themselves actually created during the upheavals of the Revolution.